About ten minutes after sunset, the planet Jupiter begins to reveals itself high overhead. This is a great time to investigate the planet’s belt and zones structure before brightness of its cloud tops overwhelms the view. I first happened upon this in 1994 when Comet SL-9 was impacting Jupiter. I saw amazing detail minutes after sunset but was harder to observe the fine details such as festoons when the sky was black. As always, check the Observer’s Handbook of the RASC page 233-234 for satellite times of moon and shadow transits such as May 21 and 27 when we will witness double shadow transits. As minutes tick by, more and more bright stars appear like popcorn in slow motion. This is my favourite time of the evening as one by one, distant suns reveal themselves. 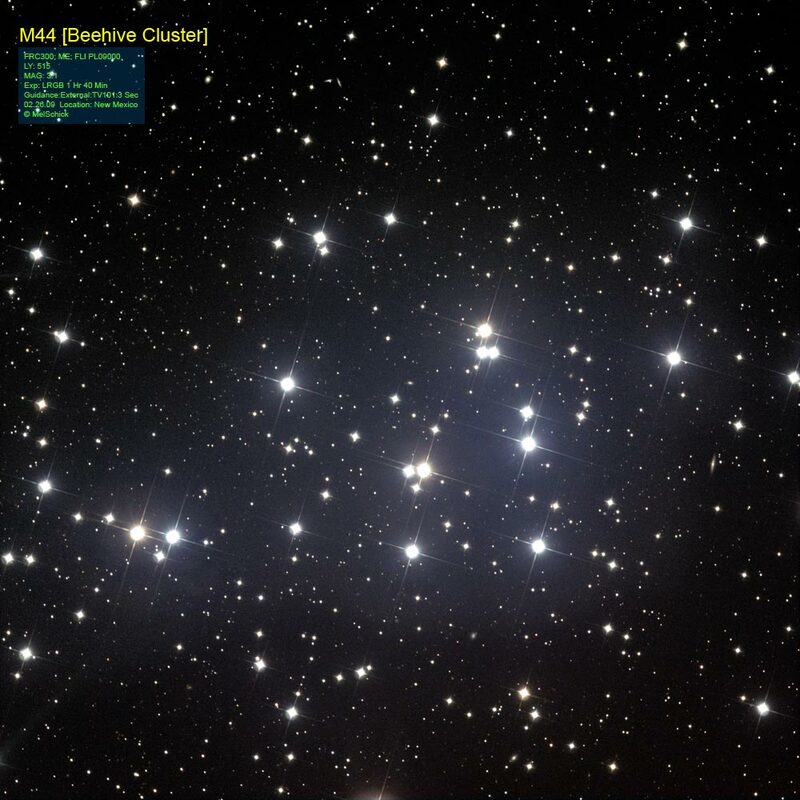 When the sky eventually turns to night mode, look to the right of Jupiter for M44 - the Beehive Cluster. With a population of about 500 solar masses, this cluster is 577 light years away and is one of the closest clusters to us. Although its overall brightness is listed at magnitude 3.7, dark skies are needed to glimpse it naked eye. Looking east of Jupiter in the mighty lion named Leo. Its alpha star is named Regulus and is 79 light years from us. Regulus shines at magnitude 1.3 and has a luminosity of 360 times that of our Sun. It is 4.3 times wider than our Sun and rotates at an astonishing 317 km/sec. As a result of this rapid spin, temperatures near the poles are measured to be 15,400 Kelvin compared to cooler equator’s 10,200 Kelvin. Regulus happens to be located on the ecliptic and from time to time is cover (occulted) by the Moon in its orbit around Earth. The asterism that makes up the lion is a backwards question mark starting from Regulus, thus forming the front half of the beast. Then to the east is the 30-60-90 triangle forming the hind quarters ending with the star called Denebola at 36 light years away. 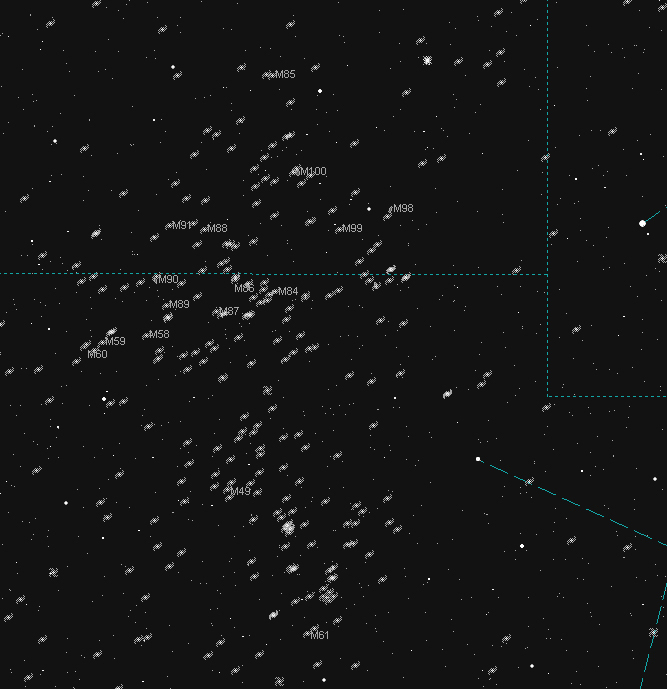 Many fine galaxies dot Leo and into Virgo but the challenge is spotting the faint galaxy Leo 1. At only 850,000 light years away, this magnitude 11.2 smudge is only twenty arc minutes from blazing Regulus. The secret is to place This bright sun out of the field of view in the eyepiece. Another favourite grouping to observe and photograph is call the Leo Triplet consisting of M65, M66 and NGC 3628 which reside 41, 33 and 25 million light years from us respectively. All three consist of varying structure and is a must see. 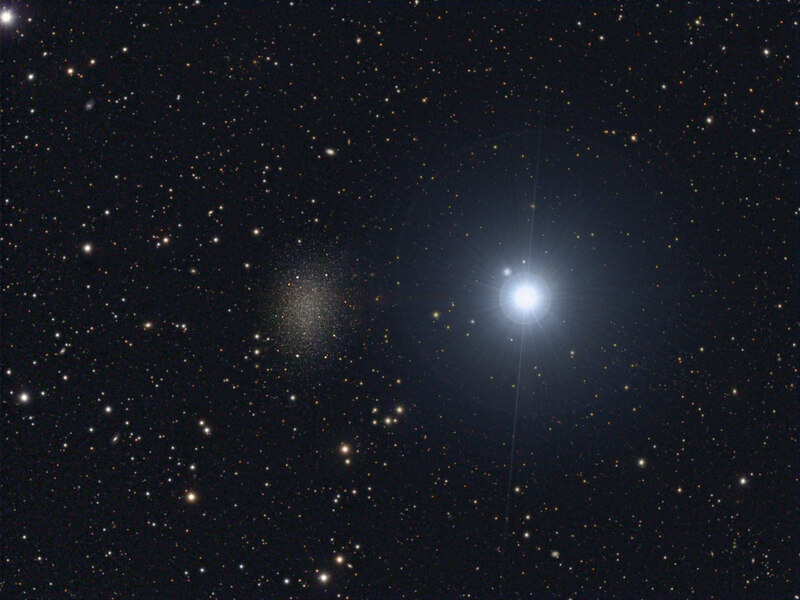 Another great trio of galaxies can be located half way between Regulus and the Triplet. These galaxies are M95, M96 and M105 and lie in the range of 33 to 35 million light years away. But for those that love to galaxy surf, aim your scope about ten degrees east of Denebola to a swarm of starry islands. Literally hundreds of galaxy are within reach and you will have your pick of the litter with an assortment of spirals and round ellipticals. 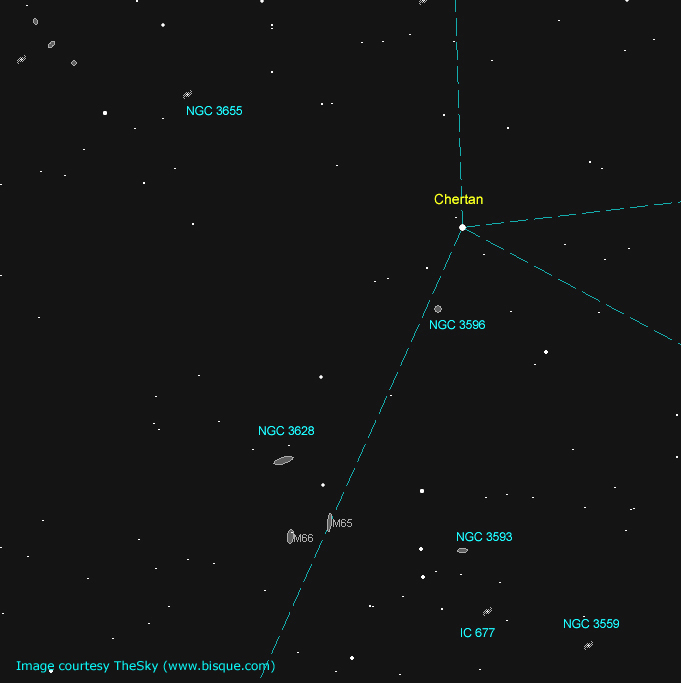 Of the eight comets that are visible as some point in the night, Comet Lovejoy is still the brightest. It has now crossed over from Cassiopeia into Cepheus at around magnitude 7.5 and fading. 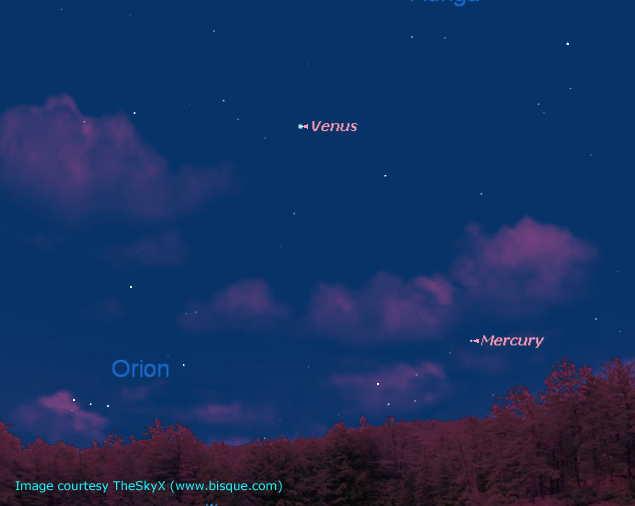 Mercury will be at its greatest elongation of 21 degrees from the Sun on May 7. On that date it will be a bit more than 8 degrees NW of Aldebaran and will shine at magnitude 0.5. These two along with Venus will form a lovely triangle in the western sky – nice digital moment folks. And let’s not forget about the ringed planet Saturn that appears at the top of the claws of Scorpius. It is in opposition on the 23rd meaning it rises when the Sun set. 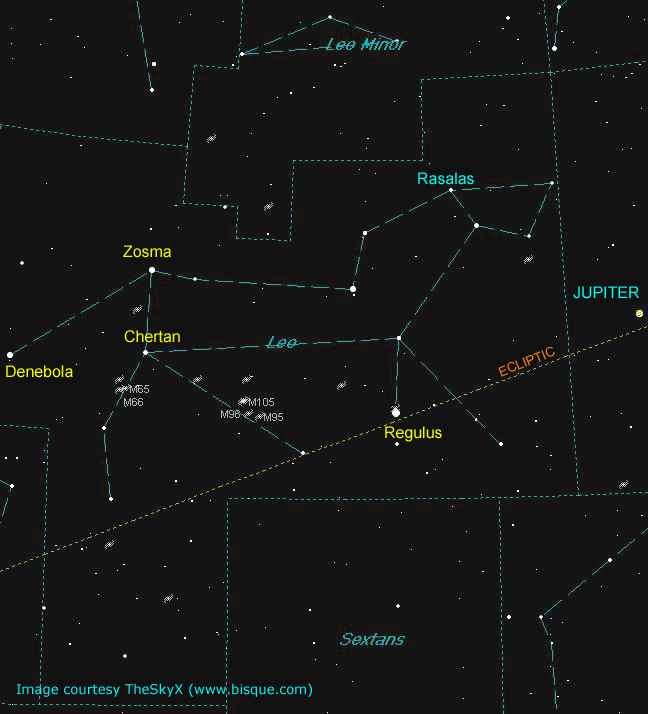 The annual Eta Aquarid meteor shower peeks at 13 hour UT or 9 am eastern on May 6. A by-product of Halley’s Comet, the Eta Aquarids are predominately a southern hemisphere shower that can produce up to 60 meteors per hour but only about 30 here in the north. To make things worse the near full Flower Moon from two nights earlier will reduce that number further again. New Moon occurs May 18 (lunation 1143).